Worldmapper was founded 2006 at the University of Sheffield as a collaborative effort on creating a large world maps (called cartograms), where territories are re-sized on each map according to the subject of interest. This website is the archive of the original project website with nearly 700 of our first maps. Maps 1-366 are also available as PDF posters. Use the menu above to find a map of interest. Worldmapper also feature a series of population maps using a novel gridded cartogram approach: Worldmapper Population Atlas. 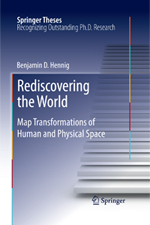 If you are interested in more background on map projections, read the short introductions about Worldmapper and map projections and gridded cartograms as a map projection. The original Worldmapper project was realised by many people, including Mark Newman, Danny Dorling, Anna Barford, Ben Wheeler, John Pritchard, Graham Allsopp and Benjamin Hennig.